While yoga can provide well-rounded exercise or supplement a full regiment, it is also hard on the joints. Below we explore a variety of options for extra yoga support with the best yoga knee pads. Not meant to be used on their own, yoga knee and joint pads complement the cushioning provided by traditional mats. While they are meant to provide extra cushion, it is important to keep in mind that too much cushion can cause more problems later on. Pay attention to density when picking out a mat to assist with joint pain to ensure support as well as comfort. Unlike full sized mats, the small area covered by these pads means that slip is less of a concern. While grip and the texture of the materials should still be paid attention to, these pads are meant to stabilize long term practice and aid in sitting in place more than ensure transitions. A good basic mat will still be needed with these practice. The Sukha Mat Yoga Knee Pad, though named for one joint, supports them all. This support mat can be rolled up with the base rectangular equipment for easy transportation. While useful as a firm layer to cushion joints while practicing stationary poses, this Sukha mat can be used to extend mats and cushion your head during resting. 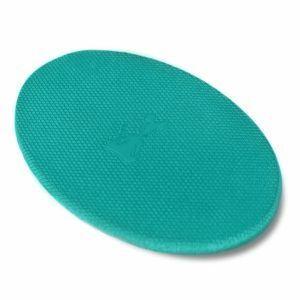 This knee pad comes in a variety of cool colors and made of versatile foam that is also biodegradable. This pad has a mid-range price around $20. It is admittedly on the lower end of pads of this type, and does not offer the firmness of other options. An even cheaper mat, the RatPad is exceptionally light a colorful. This pad is a simple addition to yoga practice. Its oval shape allows for better versatility when practicing several different poses. It has a lot of cushion, but the size is much smaller so two will be needed for supporting two joints like both knees. 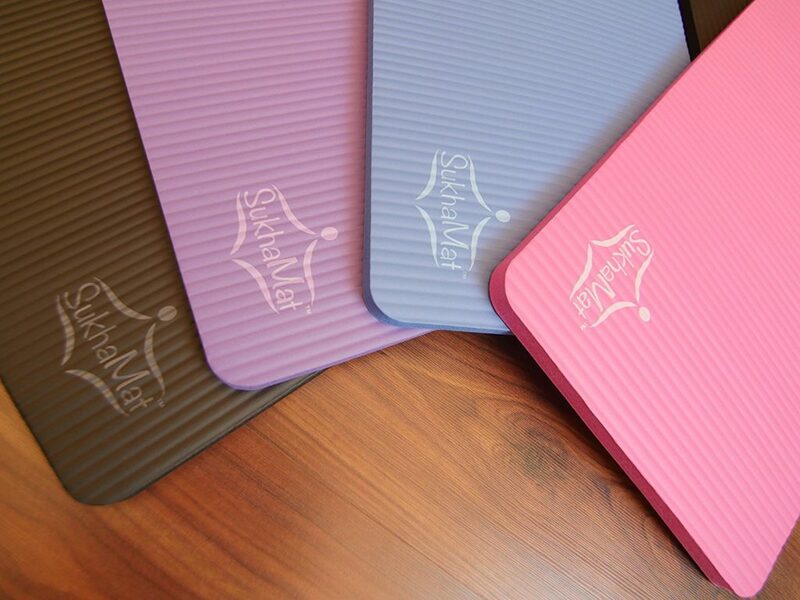 The Ratpad is also good for protecting other problem areas during regular exercise. Even when used without a mat, this pad will cushion the lower back or elbows from hard floors. Each one sells for a bit over $10, which is reasonable. Though not specifically designed for yoga, the ADiPROD is a great choice for a variety of exercises and yoga practice that requires the versatility to shift poses smoothly. These pads are worn rather than lain on top of a mat. While they will not cushion against something as high impact as falling, they are excellent for coming into contact with hard surfaces. The ADiPROD is very flexible, so movement is easy. They also provide pressure around the joint to hold everything in place. 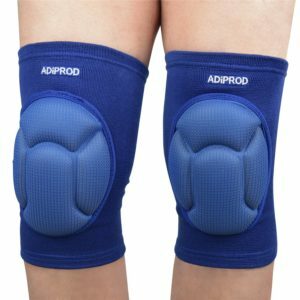 This knee pad option is also extremely affordable and the cheapest in this review. Something different than the traditional foam of usual yoga gear, YogaJellies are made of silicon. 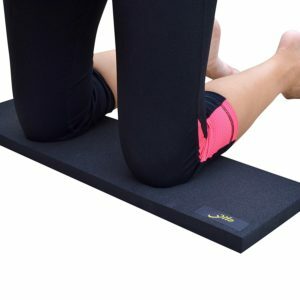 This offers a high level of stick for joint support that does not slip. 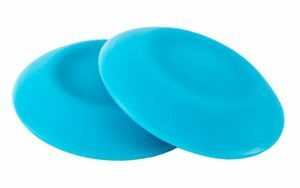 These discs can be used with a mat for knee or wrist support when practicing a variety of poses. However, using them will require smart placement. Their small size means they have to be adjusted or placed with exactness every time their extra support is needed. Being silicon and not foam, these pads are quite dense. YogaJellies come in a wide variety of colors. They are on the more expensive end of joint support at around $50. A thick but forgiving mat, the Yilo Warrior comes in a longer strip so that it can be placed generally during practice without too much movement needed. This mat offers an inch of gripping polymer support. This mat will not slide on hard surfaces or when layered atop other foam mats. While it can be rolled for storage, it will have to be moved and stored separated from your regular mat due to its thickness. One downside is that the foam of this pad has a strong odor. Though it should dissipate after unrolling and airing out, the smell may turn some users off from using it for a few practices. This mat is somewhat pricey but high quality.